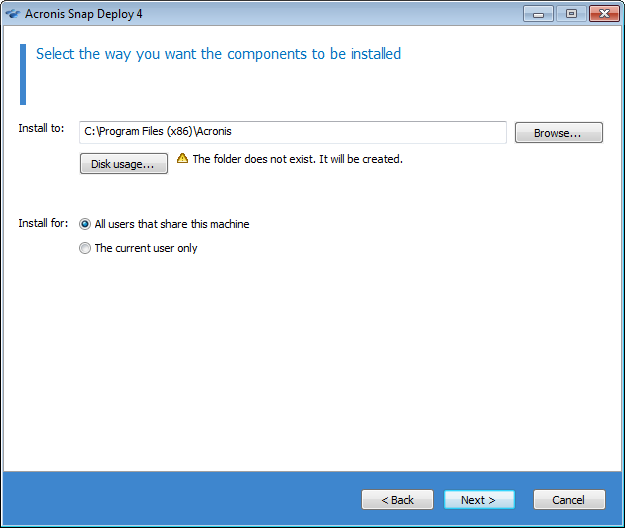 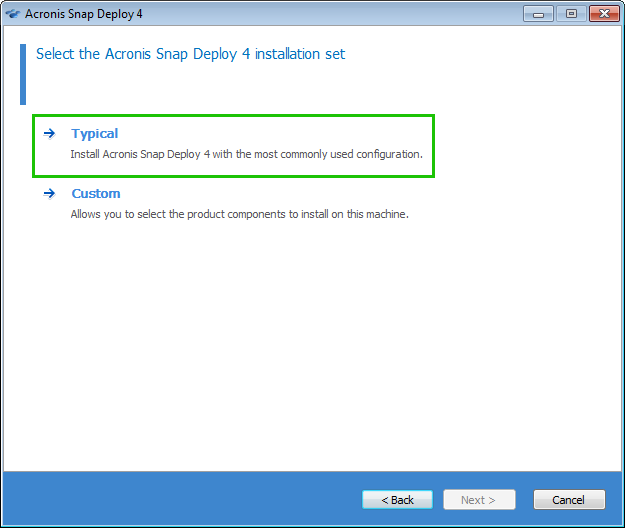 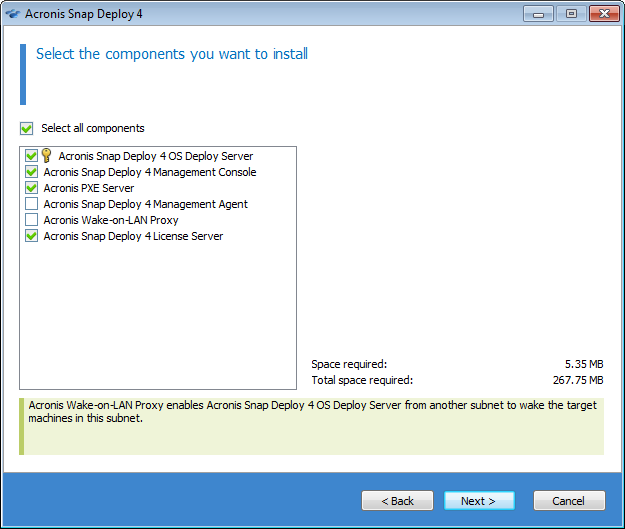 You can also review the complete list of components in Acronis Snap Deploy 4: Components. 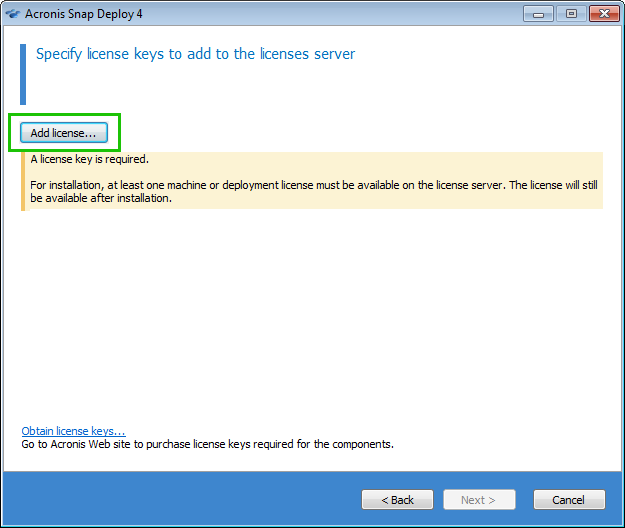 The license, however, will only be taken (used) on deployment. 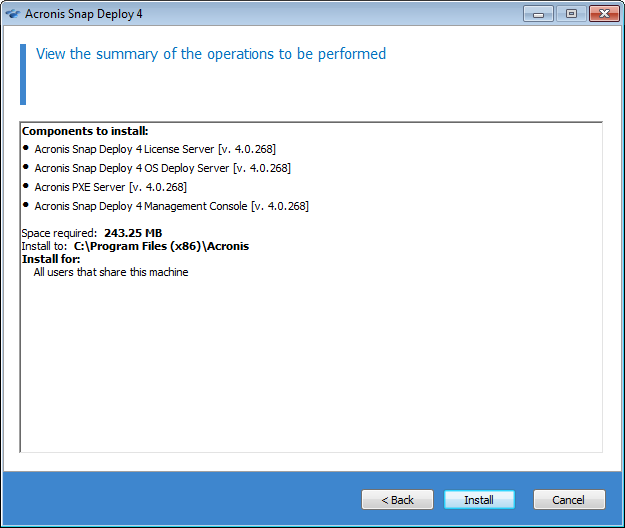 No machine reboot is required to complete the installation. 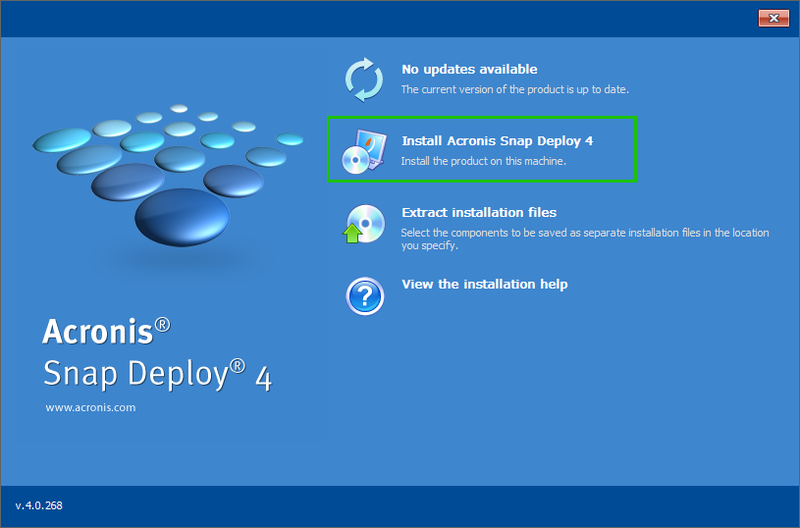 See also Acronis Snap Deploy 4.